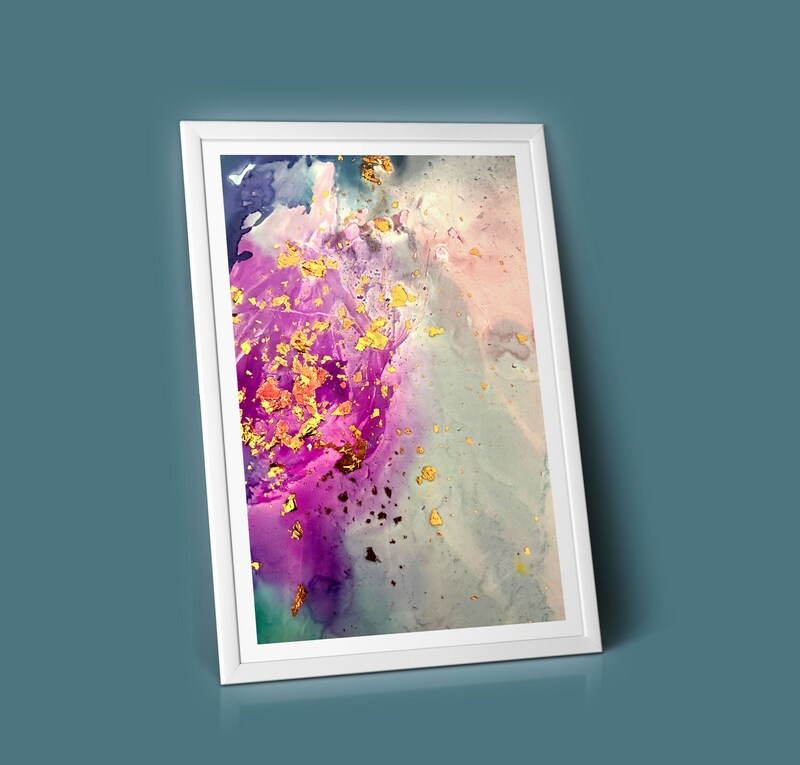 'Flicker' was originally created with alcohol inks and gold leaf on yup paper. This artwork is now available as an art print, shipped to your home ready for framing. 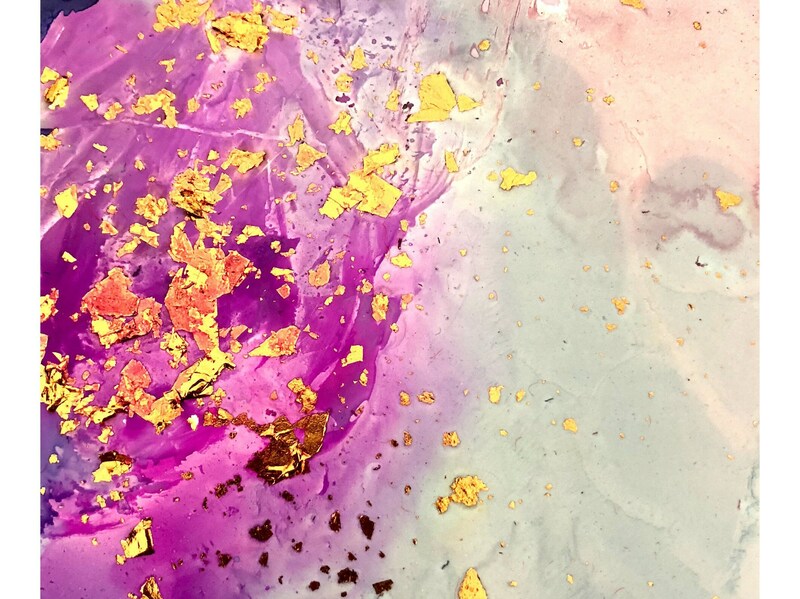 A beautiful mix gold leaf flecks, pinks and purples.